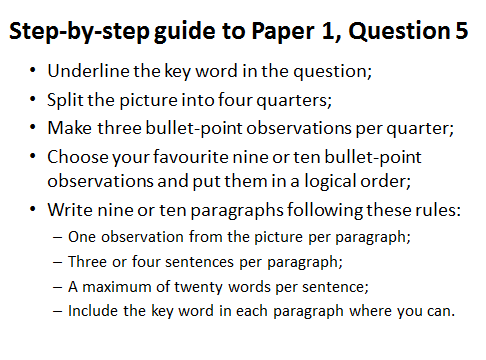 I have been a teacher for 28 years, a Headteacher for 13 years and, at the age of 52, this much I know about a step-by-step guide to the writing question on the AQA English Language GCSE Paper 1. Writing is a deliberate, pain-staking act. Many of our students do not, however, have a process for constructing a passage of extended writing which they can employ consciously. 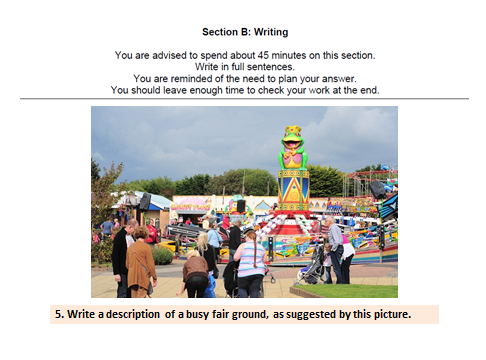 What I have devised for our students in the academic tier above our SEND students – the ones who have never quite engaged with their studies, the ones who rarely do any school work beyond the school day, the ones who find GCSEs a genuine struggle – is a step-by-step guide to crafting answers to the two 40 mark writing tasks in the AQA English Language GCSE papers. 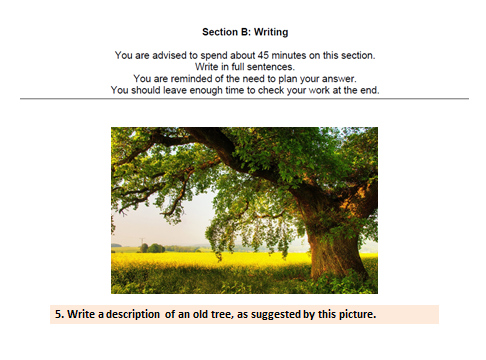 In this post I will concentrate upon the AQA English GCSE Paper 1.The step-by-step guide to question 5, the writing question, is an example of embedding in the students’ brains a metacognitive process for tackling the 40 mark writing tasks. It will not, necessarily make them better writers; however, what it does is help them demonstrate their writing at its best when under pressure in the examination hall. Now, I have advised my students to avoid the story question. Shaping a narrative is a difficult task. If students do not have a profound understanding of how narrative structures operate they can get themselves into a rambling mess of a response. 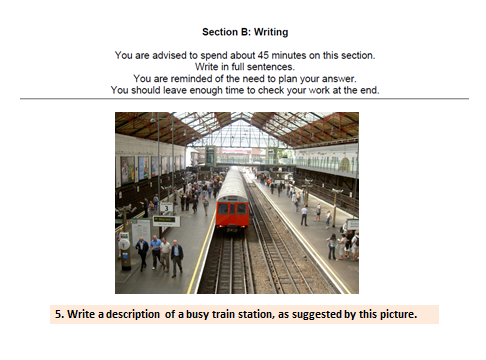 We have focused solely upon the description question which uses the picture as a stimulus for the students’ writing. 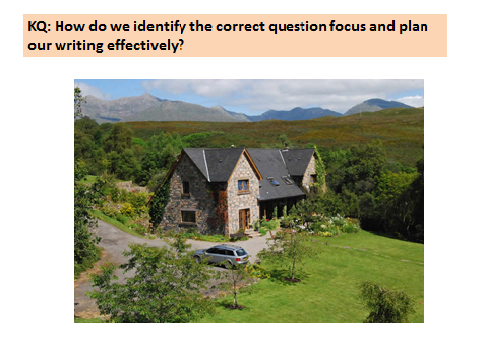 To begin with the students underline the key word or phrase in the question. 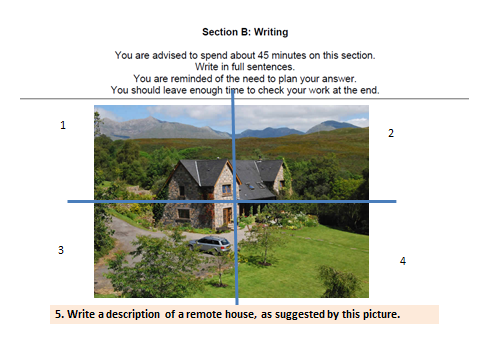 The following three slides demonstrate how we have then trained the students to split the picture into quarters; they then bullet-point three observations from each quarter, ensuring that there is no repetition across the total of twelve bullet-points. Once they have their twelve bullet-points, they choose their best nine or ten and order them logically. Include the key word in each paragraph. The sun shone down onto the bright mountains in the distance. Blue sky sat ontop of the towering mountains. Birds whistled in the glazing heat as the sun shone warmth into the air. 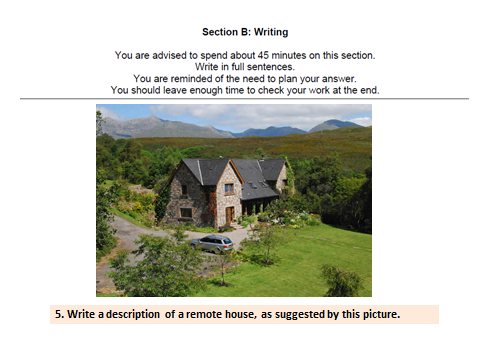 The mountains looked down upon a remote house set in beautiful Scottish countryside. The house sat in direct view of the sun as it speared light onto the face of it. The gable end cast a dark shadow down the side of the modern house. Trees thrived in the sunlight as there bright green leavs glimmered in the midday light. Trees hung over the boiling hot driveway as the sun melted the tarmack. flowerbeds surounded the house as the glistened in the sunlight. There leaves let out a ray of beautiful colours. The driveway led into a darkening woods. French double doors let a sense of freedom into the house as the sun shone powerful rays of light through the doorway. A car sat on the driveway frieing in the midday heat. Dark mountains sat in the distance as the clouds came in casting a black shadow covering the whole mountain range. Moorland sizzled with the sound of crickets clicking and birds whistling as sun cast a powerful view from the house. Ivy intertwine up the side of the house as it cast a dark, menacing shadow through the window. Velux windows popped open looking down on a river filled with life at the bottom of the garden. The river slowly ran through the scottish country side as the water sparkled in the sunlight. fish swam in groups as theres fins let out a ray of sparkling lights. Shards of sunlight speard through the light blue atmosphere as it illuminated the lucious green grass. Flowers sway in the sun as they lit up the front of the house. Ivy curled up the columns of the porch as they cast a dark shadow into the house. A BBQ sizzled on the driveway as sausages fried in the midday heat. Smoke rose as it spread a wonderful smell of summer round the garden. Sunlight glazed down upon the baby trees as they cast a ray of beautiful shadows onto the lawn. A pathway led to the river as the bottom of the garden as ducks swam with there duckling down the river into the Scottish sumer country-side. I word processed Karl’s response verbatim so that we could work on improving it as a class; I wanted to focus on some basic spelling and punctuation errors. When I projected it onto the whiteboard and read it out, another student, Jack, said, Well, that’s OK and all that, Sir, but we can never be as good as you. When I denied authorship and told the group that the writer was one of them, they did not believe me for a second. I had to show them the hand-written original before they began to accept that the words belonged to Karl. Once they had overcome their huge sense of incredulity, it inspired them to work harder to become better writers. They have nick-named Karl, Shakespeare. 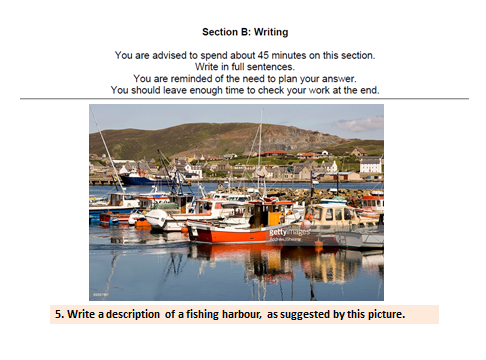 The students now have a firmly embedded tool with which they can approach the 40 mark question with confidence. In my next post I will explain our step-by-step guide to answering the AQA English Language Paper 2, Question 5…it’s all about your FAP! Thanks…I’ll be using some of these ideas during our drop down session on Monday! Such a simple yet genius way of approaching this question. This is great. However, I’d be a bit concerned about asking my students to avoid the story. 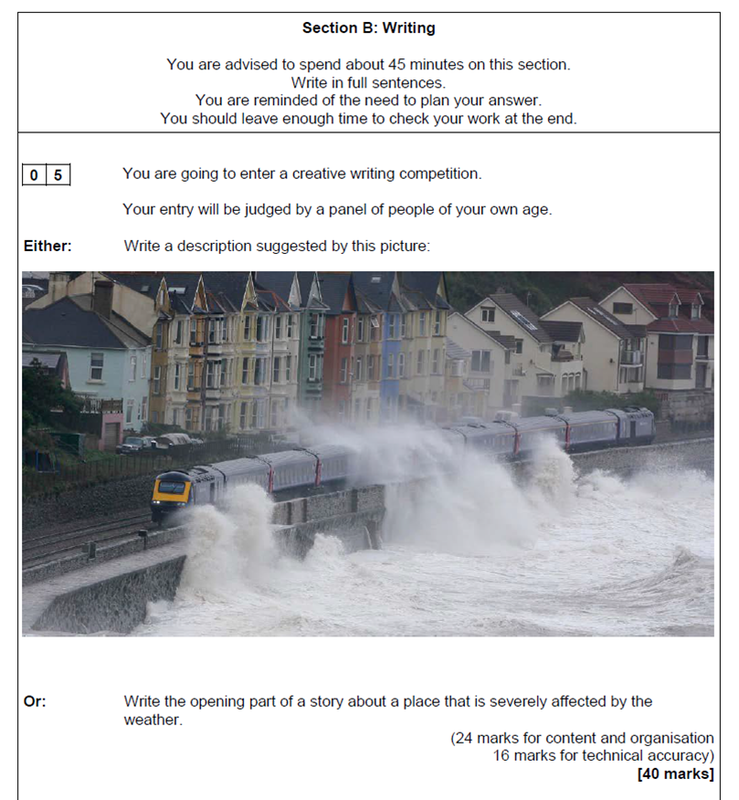 The exam notes from AQA state that “the question will give a choice of a descriptive and a narrative task, two descriptive or two narrative tasks.” If they are only prepared for the descriptive piece, they run the risk of getting two story choices. 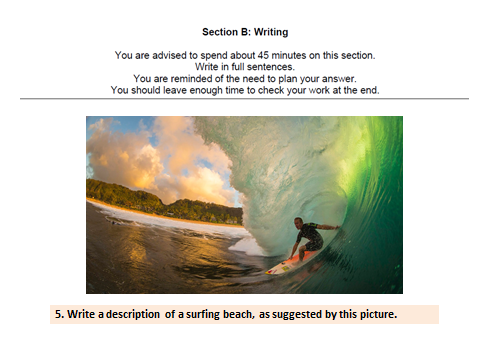 This is correct, however, it is unlikely that they will provide two narrative options in the exam. They did in the November 2017 exam. 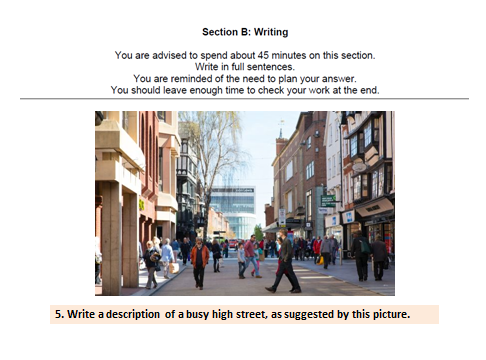 Please can you tell me how I can access the slides, as your steep-by-step guide sounds brilliant and just what would help my students who struggle.